Nonpareil science writer David Quammen explains how recent discoveries in molecular biology can change our understanding of evolution and life's history, with powerful implications for human health and even our own human nature. In the mid-1970s, scientists began using DNA sequences to reexamine the history of all life. Perhaps the most startling discovery to come out of this new field—the study of life's diversity and relatedness at the molecular level—is horizontal gene transfer (HGT), or the movement of genes across species lines. It turns out that HGT has been widespread and important. For instance, we now know that roughly eight percent of the human genome arrived not through traditional inheritance from directly ancestral forms, but sideways by viral infection—a type of HGT. 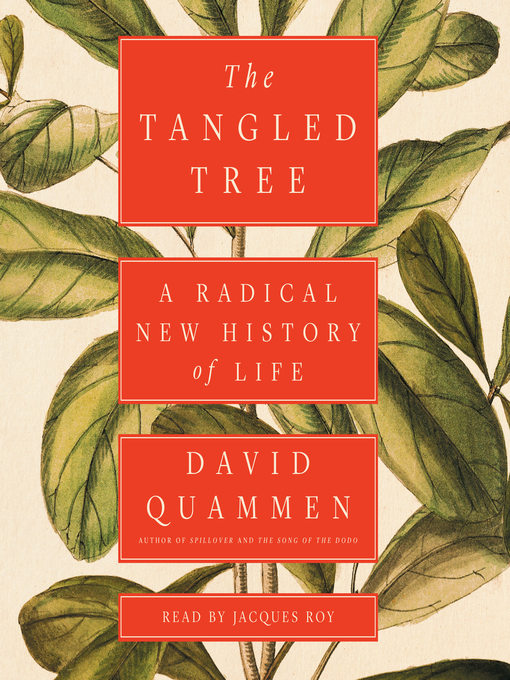 In The Tangled Tree David Quammen, "one of that rare breed of science journalists who blends exploration with a talent for synthesis and storytelling" (Nature), chronicles these discoveries through the lives of the researchers who made them—such as Carl Woese, the most important little-known biologist of the twentieth century; Lynn Margulis, the notorious maverick whose wild ideas about "mosaic" creatures proved to be true; and Tsutomu Wantanabe, who discovered that the scourge of antibiotic-resistant bacteria is a direct result of horizontal gene transfer, bringing the deep study of genome histories to bear on a global crisis in public health. "Quammen is no ordinary writer. He is simply astonishing, one of that rare class of writer gifted with verve, ingenuity, humor, guts, and great heart" (Elle). Now, in The Tangled Tree, he explains how molecular studies of evolution have brought startling recognitions about the tangled tree of life—including where we humans fit upon it. Thanks to new technologies such as CRISPR, we now have the ability to alter even our genetic composition—through sideways insertions, as nature has long been doing. The Tangled Tree is a brilliant guide to our transformed understanding of evolution, of life's history, and of our own human nature.